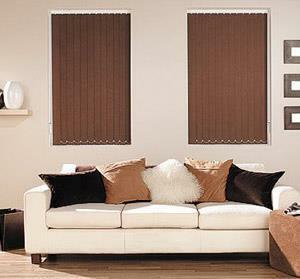 Vertical Blinds are a cost effective way to decorate your Adelaide home or office. Manufactured in our company owned premises in Para Hills West, vertical blinds are ideal for sliding doors and large window sizes. They are perfect for large spaces where the perfect balance of light and privacy is required. Vertical blinds look superb from inside and out and are an incredibly low maintenance choice of blind. We offer a variety of translucent or blockout fabrics and a wide choice of fashionable colours to suit any decor. Mr Blinds will work with you to provide you the window style you're looking for. For a room with a lower ceiling, vertical blinds can even give your room a ‘heightened’ look. Made to measure, complete with bottom chains (or if you prefer... chainless) vertical blinds are simply opened and closed via a wand or cord control and have an incredible range of long life. 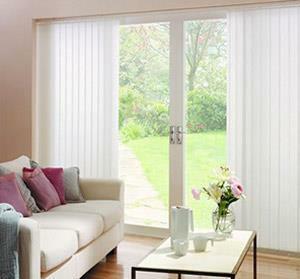 To request a free measure and quote for vertical blinds in Adelaide, please contact us today.